First things first. Although technically yesterday was the second anniversary of Critics at Large, today commemorates when we actually began two straight years (and counting) of daily posts on the arts. We started with only three writers feeding coal into this literary furnace and today we have thirteen active scribes who've taken up the shovel. Thank you and congratulations to all –especially those of you who have been actively reading and supporting our efforts every step of the way. To kick off our third year, here's an excerpt from Reflections in the Hall of Mirrors: American Movies and the Politics of Idealism, my latest book currently in progress (which also explains my periodic absence from Critics at Large). But it just so happens that I'm also about to begin a nine-part lecture series on Reflections a week from Monday at the Miles Nadal JCC in Toronto (see details here). While I considered posting material from the Introduction ("If History's Taught Us Anything...") which covers the first lecture where I examine The Kennedy Era (through The Godfather, Part II and The Manchurian Candidate), the section was just too long to include here. Therefore, I'm jumping ahead instead to a portion from The Reagan Era where I discuss Phil Kaufman's 1979 remake of Invasion of the Body Snatchers (a post which is still long but I beg your indulgence). I know that, in the literal sense, Invasion of the Body Snatchers was made in The Carter Era, but Reflections in the Hall of Mirrors is not a literal interpretation of the American movies in each Presidential period. I work from the notion that since movies operate like waking dreams there is an unconscious nation that lies beneath the conscious one. In this post, I've tweezed together the opening portion from the book's introduction and the section on Invasion from the chapter Mourning in America: The Reagan Era. The students from my recent film criticism class, who composed terrific reviews of Invasion of the Body Snatchers, will no doubt recognize most of this material from a review of the movie that I also wrote for the class. Since the early Sixties, you could turn to almost any American film and recognize the political period that spawned it. A rousing epic like Spartacus (1960) signaled the rising hopes of the Kennedy years, just as The Manchurian Candidate (1962) foreshadowed the tragedy in Dallas the next year. In the Heat of the Night (1966) reflected the racially troubled Johnson era as equally as the police thriller Bullitt (1968) indirectly brought brought out our ambivalence about Vietnam and the growing culture of violence at home. The subject of violence was articulated eloquently, but with a marked uncertainty, in various genre films, from the Depression-era gangster film Bonnie and Clyde (1967) to Sam Peckinpah's bloody western The Wild Bunch (1969). The Seventies' paranoia of the Nixon years gave us both an anti-hero for the Silent Majority in Clint Eastwood's vigilante detective Dirty Harry (1972) and one for frustrated liberals in the counter-culture counterpart, Billy Jack (1971). The holistic Carter period tried to salve the country's wounds over Vietnam with the homespun nostalgia of Bound for Glory (1976) and Coming Home (1978). 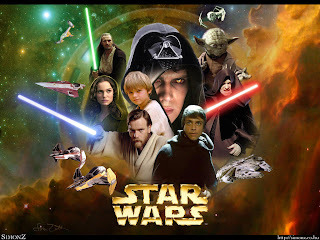 Yet it was the ground-breaking blockbuster Star Wars (1977), however, that took viewers back to a presumed innocent age. Drawing on the gloried past of Hollywood studio movie-making, Star Wars asked Americans to forget about the demons of Vietnam and Watergate. In providing a comforting creed for seeking salvation, which meant believing in the Force, Star Wars laid the seeds for the arrival of Ronald Reagan. 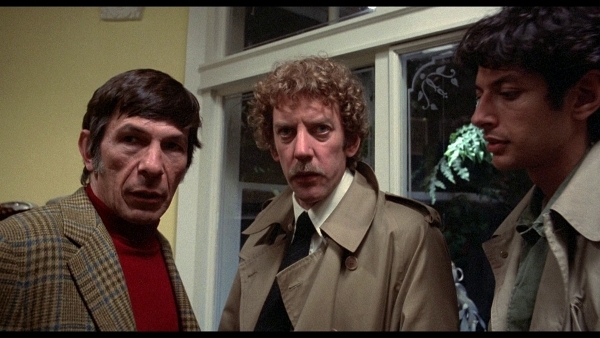 Speaking of seeds, though, if there was one film that more presciently defined the chief characteristic of the Reagan years, and what that era would represent in the decade ahead, it was Philip Kaufman’s witty and sumptuously scary 1979 re-make of Invasion of the Body Snatchers. If the Reagan years were about refuting the Sixties by having us take refuge in the cozy nostalgia of an earlier time, where one could “sleepwalk through history” (as historian Haynes Johnson described it), Invasion of the Body Snatchers is a thrilling science-fiction classic about the dangers of nodding off. 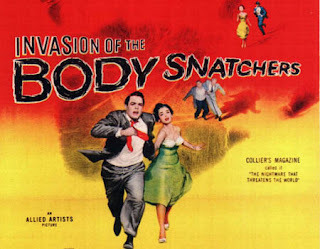 Using as his source the 1956 black-and-white B-movie (which itself was an adaptation of Jack Finney’s fine 1955 novel The Body Snatchers), Kaufman recognized that the core idea of the story played into some very primitive fears while also creating some startling political metaphors. In the original book, that was serialized in Colliers magazine, the story centered on the small, quaint California town of Santa Mira, where one day people started hysterically complaining to Miles Bennell, the town doctor, that their loved ones were suddenly not being themselves. As the doctor investigated, he discovered that extraterrestrials had invaded their quiet villa bringing giant seed pods that replicated people and took possession of their souls while they slept. In a short time, the entire town becomes filled with people who have lost their personalities, the qualities making them distinctly human, in favour of a bland conformity where citizens become free of anxiety, pain and the ability to love. The core anxiety the material tapped into, of course, was our dread that when we fall asleep we may not wake up again, or if we did, we might not be ourselves. But the novel – and the subsequent film – also came out during the Cold War era, even echoing the McCarthy period where the fear of Communism (and the conformity that lay at the heart of that ideology) was rampant. 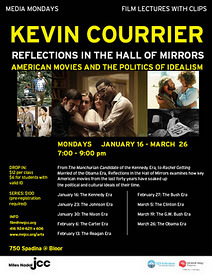 But like The Manchurian Candidate, which arrived a few years later, the material could be read in many different ways – it was either a fear of a communist takeover, or the bland encroachment of the homegrown banality of the Eisenhower Fifties, a blandness that was turning America into a collection of Norman Rockwell paintings. The shrewd beauty of the book's satire told us essentially that no one, from any political persuasion, could draw any self-righteous comfort from the story. Neither could Hollywood either when Don Siegel made his low-budget feature adaptation. Allied Artists ultimately cut out much of the story’s humour and tacked on a prologue and a more hopeful conclusion. 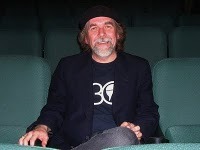 In Siegel’s original version, Miles Bennell – played by Kevin McCarthy – is stranded on a highway trying to warn people who are indifferent to his ravings. The ridiculous new ending had a re-assuring ‘get-the-FBI’ endorsement. But it didn't matter. Invasion of the Body Snatchers still became a B-movie classic, a deliciously paranoid vision of losing your individuality as you go sleepwalking through history. Seventies, Kaufman (along with screenwriter W.D. Richter) built some profoundly witty variations on the themes of the original. Considering the picture’s relationship to the Sixties, the first truly funny (and ironic) part of the story is just setting it in San Francisco. Besides being resident to some of the most non-traditional and eccentric artists and personalities of the previous two decades (a city that gave rise to both the Beat Generation and the hippie movement), San Francisco has a history of protecting its individuality. So it’s a huge joke on the audience to choose the place that gave birth to the non-conformity of Flower Power and suddenly make it home to the new Flower Power of conformity. From the opening scenes, where we watch the web-like spores travelling from their home planet to Earth, and falling with the gentle rain on a normal day in the Bay area, Kaufman provides the kind of spooky nuances that invoke the cautionary SF films of the past while anticipating a new spin on the genre. That day, Elizabeth tells Matthew of the strange transformation of her lover, that Geoffrey is no longer Geoffrey, but he’s more inclined to see her fears in terms totally in tune with the times. By the late Seventies, with the demise of the Sixties counter-culture from both drug burn-out and psychopathic criminality (which echoed the criminality of the Nixon years right into Watergate), the social rebellion had found a new home in narcissistic New Age self-help psychology: I’m OK, You’re Okay. So Matthew recommends that she see his friend, the self-help psychiatrist Dr. Kibner (Leonard Nimoy), for advice rather than confront the strangeness of the fact that suddenly everywhere people are complaining that those they know are not the people they once were. The cerebral Kibner, who is hosting a book launch and quelling the anxieties of others, terrified that their partners have changed, immediately picks up that there are romantic feelings between Elizabeth and her boss. He suggests that maybe her fears about Geoffrey are rationalizations for the attraction she feels towards Matthew. In short time, the city becomes engulfed with pod people and Matthew and Elizabeth are running for their lives trying to stay awake as well as wake up anyone who might respond to their warning cries. Most science-fiction films, especially those in the Fifties, were cautionary fables about our destructive ways, and many of them (even good ones like the 1951 The Day the Earth Stood Still) became terribly obvious civics lessons. The human characters in these pictures, too, often lacked any dimension that we could possibly care about. (The actors and their dialogue were usually stiff and unconvincing.) With Invasion of the Body Snatchers, however, Kaufman catches the idiosyncratic rhythms of the city's inhabitants so that we become concerned about their fate. Besides Sutherland, who brings an off-centre warmth to Bennell, Brooke Adams provides a sunny skepticism that complements his. You believe that these two could fall in love. Jeff Goldblum and Veronica Cartwright also turn up as their eccentric counter-aparts, Jack and Nancy Bellicec, who run a Turkish mud bath. They have the loony non-conformist tensions of the city wrapped up in their affection for each other. Goldblum with his tall lanky frame is note perfect as a frustrated writer who hates the more successful Kibner because Jack cares about writing while Kibner cares about being a success. Cartwright matches up perfectly with her wrinkled nose, tickled by the more unorthodox life they lead. These are amazingly vivid, funny personalities who bounce verbal jokes off each other while their city turns to mediocrity. (“Where’s Kazantakis, where’s Homer, where’s Jack London?” Jack complains at Kibner’s book launch, while Matthew scanning the room for his beleaguered partner asks, “Where’s Elizabeth?”) It’s perhaps a stroke of genius to cast Leonard Nimoy, who brings all the associations of both SF and his role as the logical Spock from Star Trek, as the smug Kibner. Nimoy is so measured projecting Kibner’s self-righteousness that you’re never sure if he isn’t already a pod when we first meet him. 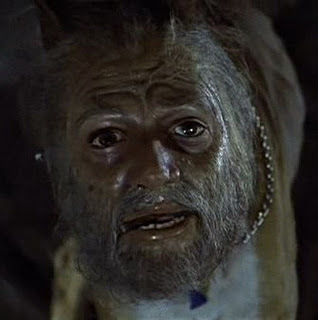 Invasion of the Body Snatchers contains a number of sophisticated spooky gags from a transformed dog to a number of inside jokes. Robert Duvall (who once starred as Jesse James in Kaufman’s earlier western, The Great Northfield Minnesota Raid), shows up uncredited as a priest on a schoolyard swing, but it amounts to nothing. Kevin McCarthy from the original Invasion, however, turns up and the joke has real bite. It's two decades later, and there he is, still in the streets, still warning us that they’re here. (This time the pods finally bump him off.) In this hipper version, there is also no FBI to counter the pods. The FBI is already perceived by these Bay area rebels as pods already. Besides the manner in which the culture turned acclimatizing and sedate in the Reagan Eighties, there was also the darker shadow of the Sixties utopianism which Invasion doesn't let off the hook either. Many may not remember that when Invasion of the Body Snatchers was playing in theatres in late December of 1978, the rotting corpses of hundreds of San Franciscan followers of local cult leader and counter-culture political activist Jim Jones lay dead in Guyana after a mass suicide. What was once a counter-culture movement attacking social injustice ended up as a terrifying resignation to an afterlife led by a zealot. How could one not view the horror of that event through the lens of Invasion? Furthermore, a month earlier, San Francisco councilman Harvey Milk, the first openly gay elected politician, had been assassinated along with Mayor George Moscone, by councilman Dan White, an openly homophobic man, who would soon after his vicious crime face a prosecution that failed to put those facts before the jury. The trial therefore ended with White’s conviction on the lesser charge of voluntary manslaughter. Were the pods already walking the San Francisco streets in 1979 as well as occupying the movie screen? Of course, Invasion of the Body Snatchers is an entertaining horror-comedy not designed self-consciously as a serious warning cry. Yet that’s what makes it all the more effective as both satire and political commentary – just like the equally audacious The Manchurian Candidate was in anticipating the events of Dallas, Texas a year before JFK was shot. 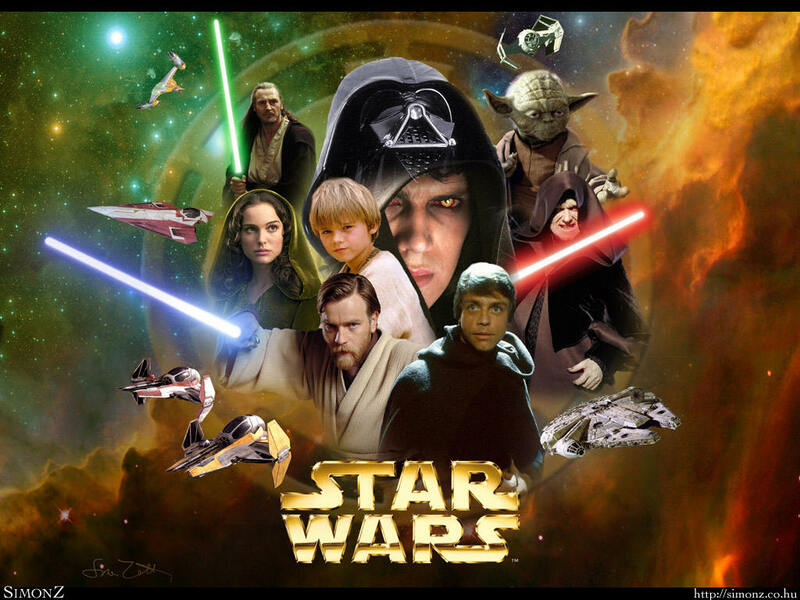 But consider the on-going relevance of the movie's themes. 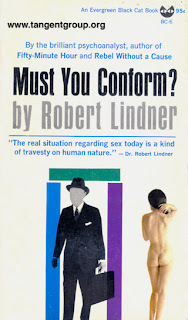 For instance, when the first Invasion was on movie screens in the Fifties, writer and critic Philip Wylie was drawing the attention of his readers to a book of essays by Baltimore psychoanalyst Robert Lindner called Must You Conform? "The grimmest demon of our day – [is] the demand for conformity set up by the frightened men, the unfree men, the men George Orwell said would triumph by '1984,'" Wylie wrote. 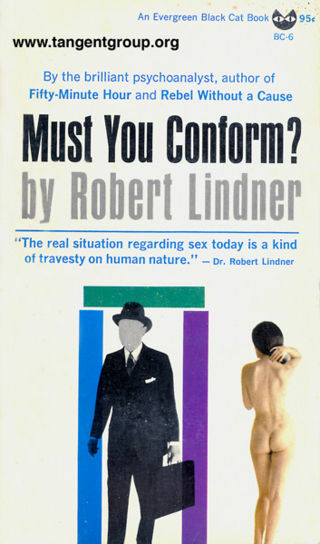 "Dr. Lindner draws his material from his immense experience with American men and women who have grown 'sick-minded' trying to be true to themselves in an era of rigid attitudes and senseless pressures." Lindner goes even further in his book to describe this malaise. "Our schools have become vast factories for the manufacture of robots," he says in the title essay. "We no longer send our young to them primarily to be informed and to acquire knowledge; but to be 'socialized' – which in the current semantic means to be regimented and made to conform...grades are given for the 'ability' of a child to 'adjust' to group activities, for whether he is 'liked' by others, for whether he 'enjoys' the subjects taught, for whether he 'gets along' with his schoolmates...[ultimately] revealing a cynical kind of anti-intellectualism." Of course, the Sixties would become a decade devoted to dissolving the anti-intellectualism that Lindner refers to, by rejecting the kind of social order that turns critical thought into quiet acquiescence. The prosperity of the time also helped bring a wealth of cultural alternatives to the mainstream. But when the affluence of the Sixties turned into the severely pinched Seventies, our culture moved backward to that cynical kind of anti-intellectualism that Lindner warned of in the Fifties. Before long, our reality wasn't shaped by the outside world, a world we wished to understand and experience. The only reality we wanted to recognize was ourselves. Our self-worth was no longer determined by our ideas and thoughts, but by our status, or by whatever platform we could mount to help define and express ourselves. Worthiness was earned by emulating whoever was considered hot – and, of course, ignoring whoever wasn't. A social amnesia (where one could be popular one minute and forgotten the next) evolved out of all this navel-gazing. 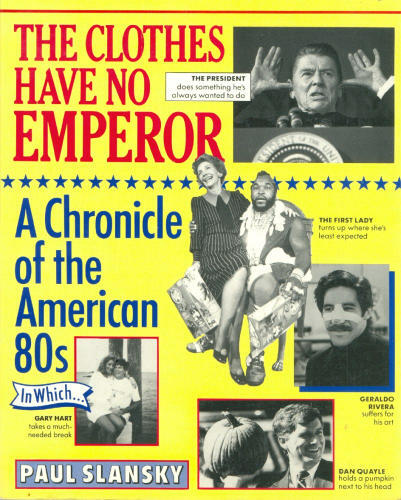 By the Eighties, as Ronald Reagan took power, solipsism became the yardstick by which politics, art and popular culture were measured. And he accomplished it a few years before Orwell's prediction. But Reagan had to erase the Sixties from both memory and history to accomplish this, just as the pods had to erase every shred of the individuality from each citizen. 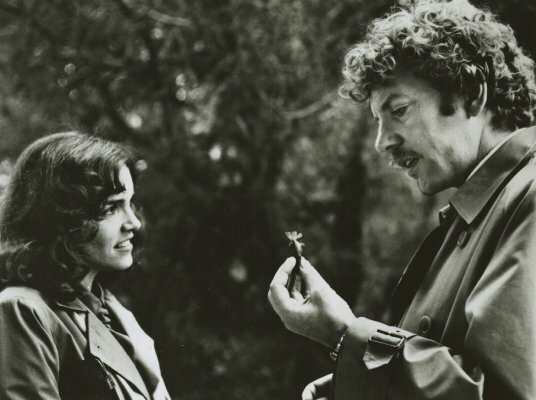 The other underlying theme of Phil Kaufman's Invasion of the Body Snatchers accounts for the critical shifts that took place in the Sixties counter-culture. 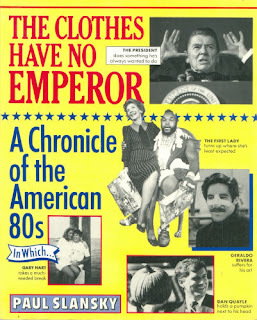 As the Seventies turned into the Reagan Eighties, the desperate need in the middle class to survive (at any cost) created a new species of Yuppie careerists who had morphed right out of the counter-culture itself. And, like the folks who flocked to Dr. Kibner's book launch for answers, they also looked to the self-serving banalities of pop psychologists for answers. The spoken goal of this quest was self-knowledge, but the hidden desire was to find 'enlightened' ways to regain lost prosperity. What was sacrificed in this process was the more complex understanding of behaviour, provided by hundreds of years of literature, philosophy and psychology. A generosity of spirit that comprised a worldview wider than the contours of our own navels was deemed expendable. Diversity of opinion began to dissolve as well in favour of a more adaptable homogeneity that could shape the public taste into something that could make dollars rather than sense. When the latest fad stopped proving lucrative, it was forgotten. We would soon witness a crippling recession with a financial meltdown in the foreseeable future that not only narrowed our pocketbook, but also our tolerance for free and open debate about important issues. 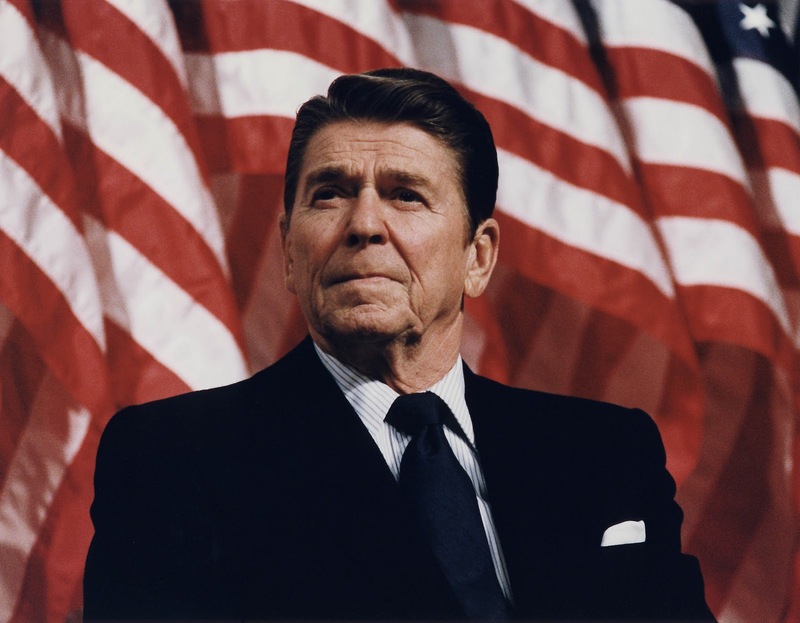 (The Reagan Eighties were often defined by the entrepreneurial phrase "Go For It!" This particular kind of junk-bond philosophy, which ate away at our economic infrastructure, extended itself, as well, to how we thought.) Out of a need to put the turmoil of the Vietnam era in the past, Americans began to connect to a mythology from their Puritan history. And Ronald Reagan fed into this desire for nostalgia by creating a public aura that differed greatly from the reality of the times. This is the world that Invasion of the Body Snatchers, an entertaining populist satire, anticipated and depicted in its genesis. The picture's irreverent, yet poignant observations, lifted Phil Kaufman's masterpiece into being one of the most remarkable and timely remakes in the history of movies.